Guidance I've written or co-written for those in cultural, education and community sectors. A guide to evaluation in public engagement, on behalf of Manchester Beacon for Public Engagement. You can read more about this, incliding the associated podcasts, on the blog here. 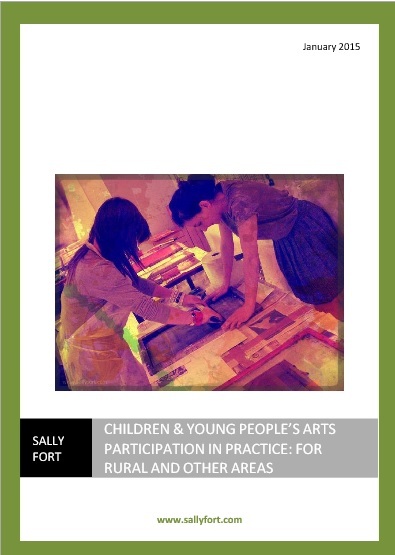 A series of case studies and good practice guidance for arts related work with children and young people, particularly though not exclusively, in rural areas. 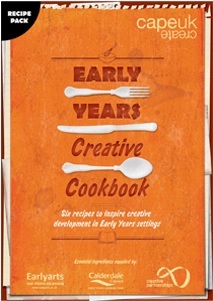 The resource contains an introduction to the depth / breadth of opportunities for engaging children and young people; 14 case studies across a variety of art forms and models of practice, with images and a breakdown of transferable learning organisations can pick out and adopt / adapt in their own context; and 5 practical guiding principles. 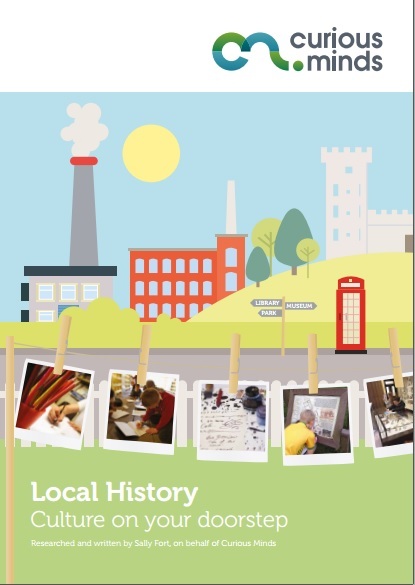 local history as a teaching resource for cross-curricular work covering history, literacy, art, geography and maths; wherever you live and whatever period or geography your local history may include. Includes five case studies with descriptions and images, outcomes, top tips, practical activities, legacies and further resources. A guidance document about early years and creative practitioners across Leeds working together to help with very young children's development. Written with Isaacs UK on behalf of the Creative Partnerships programme in Leeds run by Cape UK. Author of this Earlyarts & CapeUK toolkit to inspire early years settings, professionals and practitioners to engage in creative approaches, based on the experiences of 6 early years settings. This practical resource follow a ‘recipe’ format with an short introduction, key ingredients gives a flavour of the activity, secret ingredients to help pick out some of the magic touches unique to that project, the method, the results, top tips and the proof of the pudding showing how the settings are digesting their projects for the future. 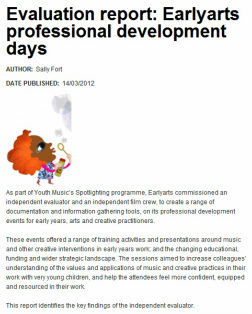 Evaluation report commissioned by Earlyarts and Youth Music on the Spotlighting programme delivering professional development for those working in early years and creative sectors in order to enhance the skills, confidence and resources for their work with young children. The evaluation reported on skills and attitudes the practitioners developed, and the potential impact on the children they work with, as a result of the sessions which covered music, story telling, and outdoor learning in woodland and beach environments. A report evaluating the pilot project Performing for Success, exploring how arts and out of hours providers can collaborate to improve literacy and numeracy skills. Co-written with Elizabeth Lynch, on behalf of Ideas Foundation and Rex Hall Associates. Read more about the programme here. Evaluation of artists working in early years settings across Liverpool as part of Liverpool capital of culture. A collation of advice and experiences of 21 museums, organisations and individuals on working with and involving communities. First hand successes and mistakes made, shared for others to avoid reinventing wheels. The executive summary report of a two year research project into the landscape of touring exhibitions in the UK on behalf of TEG the Touring Exhibitions Group. Arts Council funded research report into DIY and subversive crafts in the UK c2007. This report formed the basis of a programme of projects, exhibitions and events in galleries across the North West.